Soc'ing Out Loud: Wonder Woman Would Kick Supergirl's A$$! Wonder Woman Would Kick Supergirl's A$$! The practice of pairing the word “men” (which refers to adults) with “girls” (which does not) reinforces a gender hierarchy by mapping it onto age.... This type of language often goes unnoticed, but it sends a ubiquitous gender message about how seriously we should take men and women. 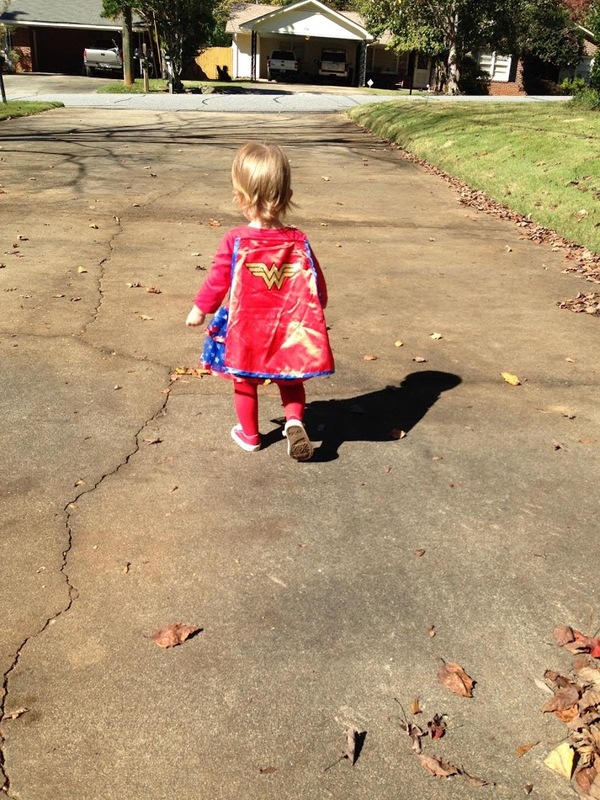 That's why I'm super-stoked that we're dressing my daughter up as Wonder Woman this year for Halloween!